Cat cafes are a growing trend around the world. 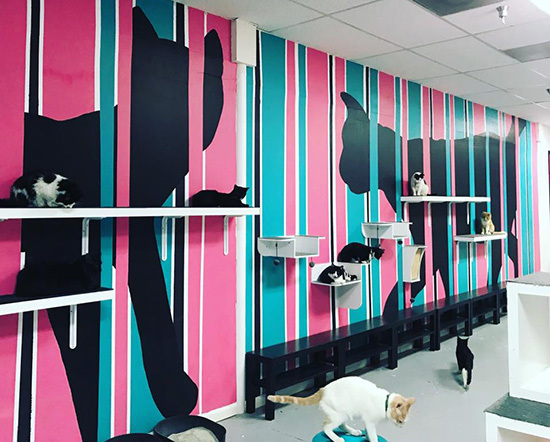 They are helping thousands of cats find loving forever homes and they serve as the ultimate examples of Catification. Learn more about these magical spaces and find one near you! You've found the number one resource for cool cat lovers! We cover the latest and greatest in design for cats from beds and scratchers to fashion, art and decor. Take a look around and we guarantee you'll find something you can't live without. 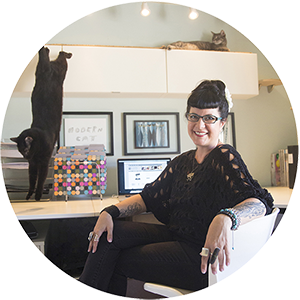 Hauspanther founder Kate Benjamin has been seeking out stylish finds for cats and cat lovers since 2007. As the co-author of New York Times bestsellers Catification and Catify to Satisfy she knows a thing or two about design for cats. 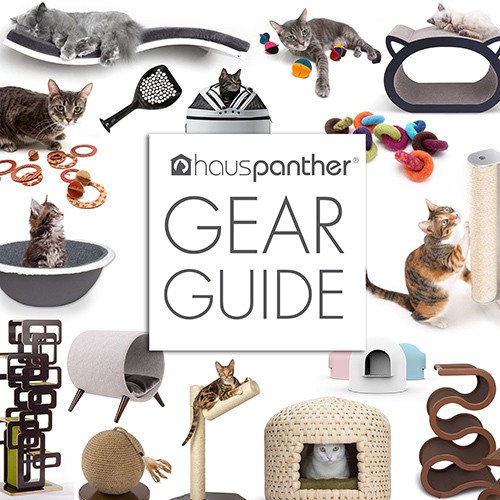 Our Gear Guide offers a visual reference for everything cat-related from scratchers and toys to beds and litter boxes. We're constantly adding new things! Parisian Bedroom Designed Just for Cats!